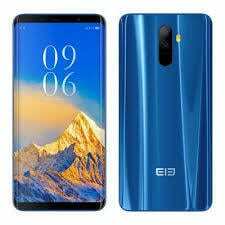 Elephone S9 is a bezel-less beauty with 6-inch AMOLED screen and high-level specs and features. The device (aka Elephone U) is known as Elephone S9 in some countries and looks like a Galaxy S9 Plus clone. Powered by a massive battery and a Snapdragon chip for fast performance. We actually unboxed the Elephone U smartphone when it was released in the begining of the year. 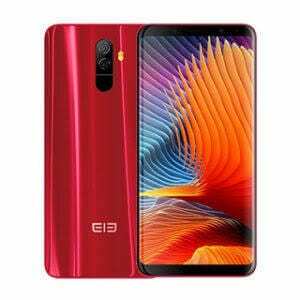 What is Elephone S9 Price and Availability Status? Covered with Aluminum Alloy and Glass as usual, it’s exactly the same as the Elephone U smartphone. Sporting dual vertical cameras at the top middle, with a fingerprint scanner underneath and a dual-LED flash by the side. From our unboxing, we saw the glass back reflecting light beautifully in the most subtle way. The Elephone logo at the bottom corner also makes this device look as premium as possible. It’s available in Golden, Black, Blue and Granny Hair colors. This bezel-less beauty has no narrow bezels whatsoever, the screen stretched all the way to the sides. Has super minimal top and bottom bezel just like the Galaxy S9 from Samsung. As minimal as the top bezel is, it still houses the selfie camera, speaker grille and others. The 6-inch QHD AMOLED capacitive touchscreen is breathtaking and stunning. Boasting of 2560 x 1440 pixels in resolution and 489.53 pixel per inch, offering clear and sharp visuals for users. The screen has Full Lamination Technology, Corning Gorilla Glass, 0.0519mm dot pitch, curved edges and stretches up to 81% screen to body ratio. Working tirelessly underneath is the Snapdragon 660 chip from Qualcomm with octa-core processor and 64-bit CPU architecture. The 8-cores of processor runs at a blazing speed of 2.0GHz with 14nm process technology for fast performance. The Adreno 512 graphics processor from Qualcomm handles graphics. A massive 6GB RAM is available here, ready to handle all your heavy apps and tasks with a memory speed of 1.866GHz. In terms of storage, 64GB is ready to accommodate your files. It’s upgradeable up to 256GB as well using a memory card. The Elephone S9 runs on Android 8.0 Oreo operating system. The Elephone S9 sports dual 16MP + 16MP shooters with f/1.8 aperture, capturing photographs with 4619 x 3464 pixels in dimension. The camera has a dual-LED flash and other features like laser autofocus and records 4K video as well. Record videos of 2160 and 1080 pixels at 30 and 60fps respectively. While the 13MP selfie camera has f/2.0 aperture. Powering the Elephone S9 is a 4000mAh non-removable Li-Po battery with fast charging technology. With the fast charging feature, it shouldn’t take up to 1.8 hours to fully charge up the battery from 0% to 100%. The Elephone S9 is available on Shopping stores from $349 (N105,000) to $399 (N125,000). Click on the links above to view the latest Elephone S9 price & availability on Shopping stores.